The Coolum Australian Made Sofa is one example of what you can source through Lounges Direct. We are dedicated to ensuring your experience buying Australian Made is non paralleled. We have not skimped on the quality of our components – only using Australian Made components where possible.. 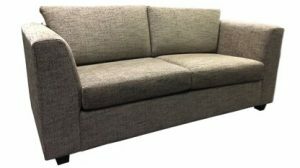 While it is easy to look in the marketplace and see cheap sofas, at Lounges Direct you get the best quality sofas Australia at a great price. Australian Made made workmanship, coupled with the peace of mind that comes from Australian Made warranties. We have several manufacturers throughout Australia – from the west coast to the east coast, we have it covered. The Coolum is available in a wide range of configurations – from the single seater to the 2 seater sofa, 3 seater sofa and the corner sofa – you can order what you need to fill your room in the most attractive way. With our special selection of Australian Made fabrics from Warwick fabrics, you have a fantastic selection to choose from. The Coolum is 100% Australian made, it is also a fantastically comfortable sofa. It is perfectly in the home or the office, if you want a modern style with excellent comfort. because it is Australian Made, you also have the choice of type of foam to be used in the seating. It is manufactured using normal seating foam – but if you want to use A Dunlop Enduro foam or similar you can request it. There is a premium on the use of this foam so if you are interested please let us know and we can get a quote for you. Corner Lounges Cheap!! At Lounges Direct you can buy your corner lounge at a fantastically cheap price. We do this by providing 100% Australian Made Lounges and sourced materials, and we sell online. As you would be aware, by selling Online we can reduce our overheads and pass that on to our customers. You would be hard pressed to find a cheaper lounge anywhere that is made to this quality. We stand behind our products with our warranty. Because we only buy Australian Made, if, in the slight chance something happens, we can have it repaired by our manufacturers, or their representatives. This peace of mind is worth its weight in gold. Not only that, but you are supporting Australian manufacturers. 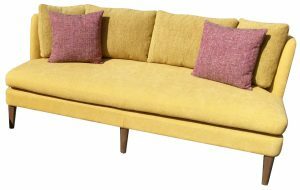 The Coolum Australian made Fabric Sofa is extremely comfortable. From its supple fabrics, to its Foam back cushion and seat cushion, you can ensure your level of comfort is second to none. You can also choose from many of our Warwick Fabric selection, or, if you do not find what you are looking for you can choose from Warwick Fabrics enormous collection of fabrics. 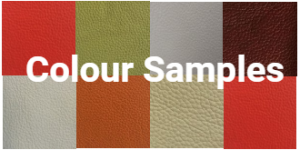 Although Australian made is our preference and our passion, we understand that sometimes the right texture, look or colour is not available and your only option is to use an imported fabric. We understand this and will ensure your new Lounge suite is upholstered in the fabric you like.